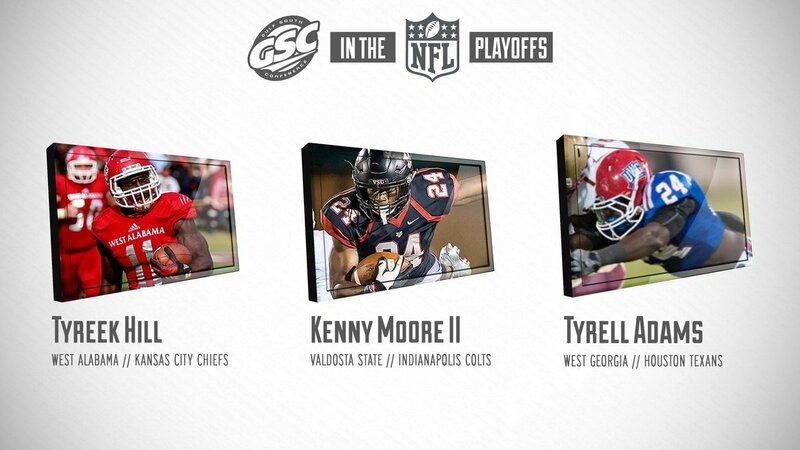 Shout out to the GSC players in the NFL playoffs!! Tyreek Hill, Kenny Moore, Tyrell Adams! Overall, there are 26 Division II players playing in the NFL playoffs!! Cool! Kenny Moore just made a great pick against Houston. He was unreal last night. He also had a sack and another rush to the QB to force an incomplete pass on 4th down!